Hand-dyed, screen printed fabrics, layered and stitched. Mounted on stretch canvas. 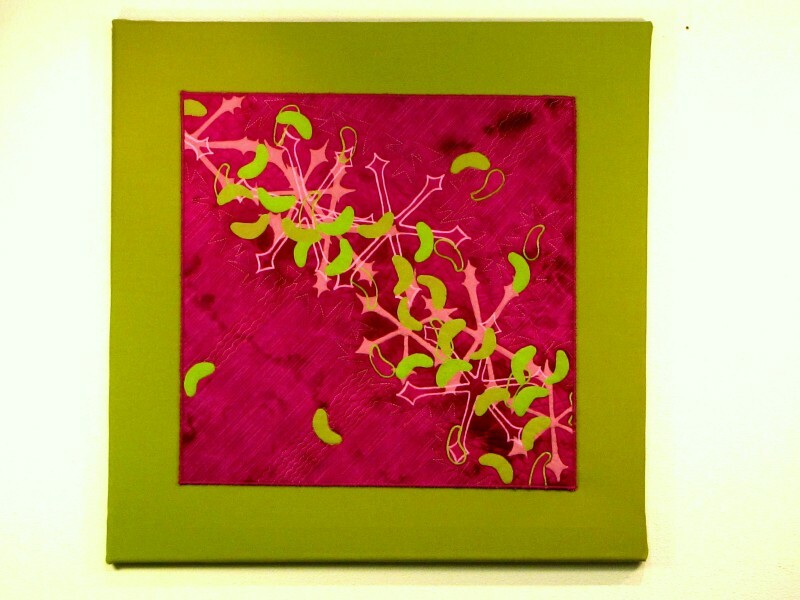 See videos of how this piece was stitched: Videos: How I Work.